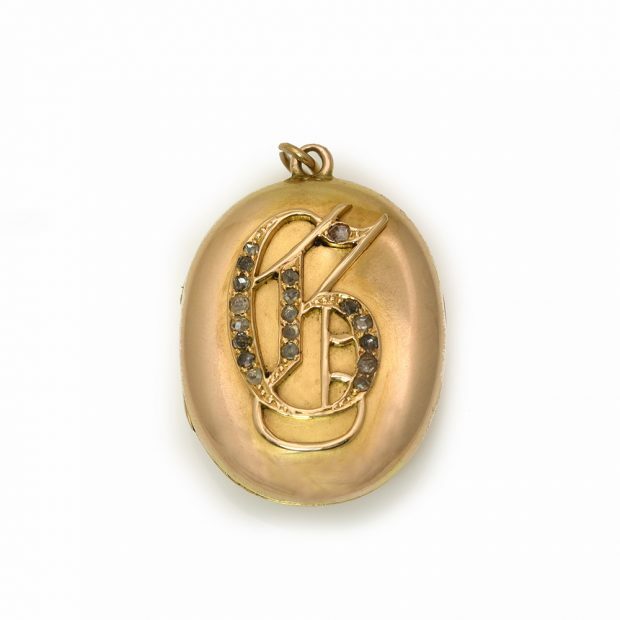 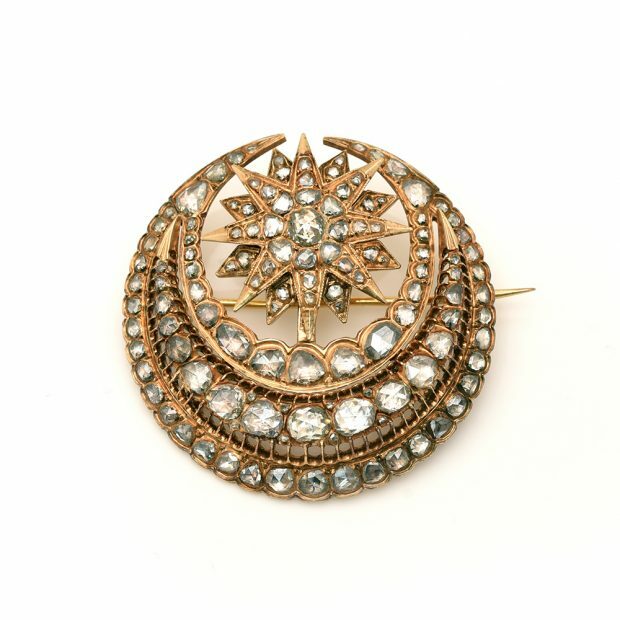 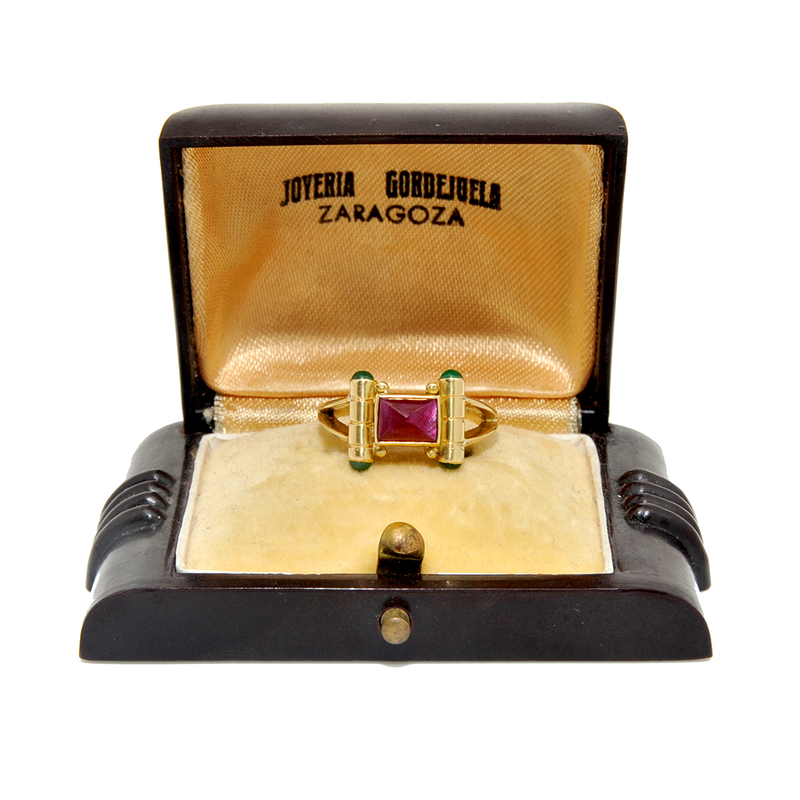 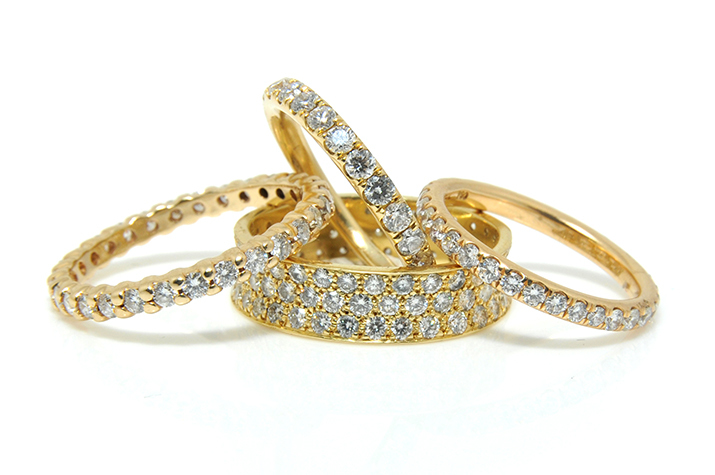 This art deco ring is in fantastic condition, and has its original box. 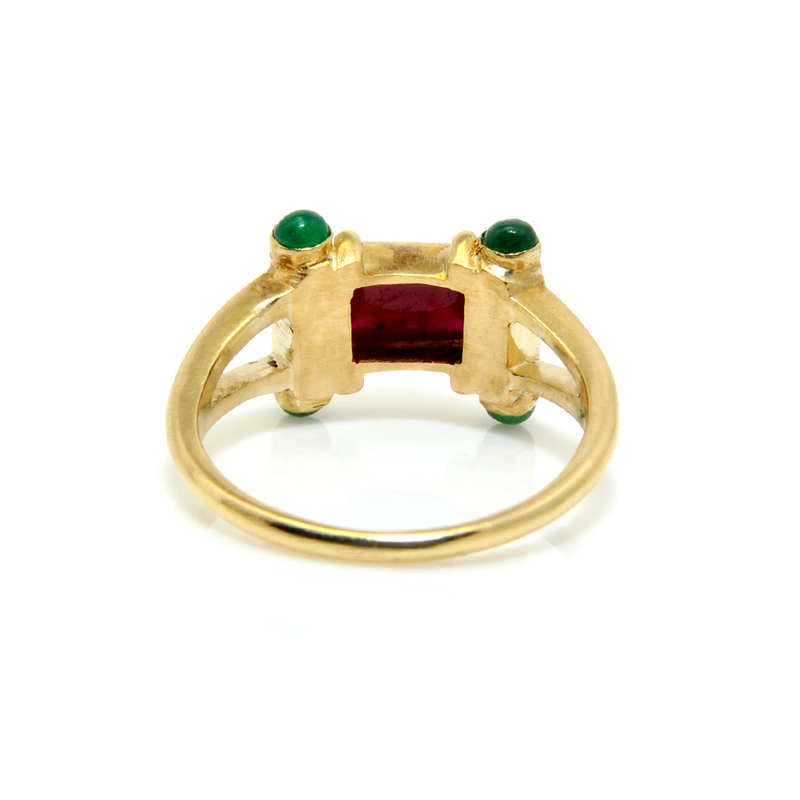 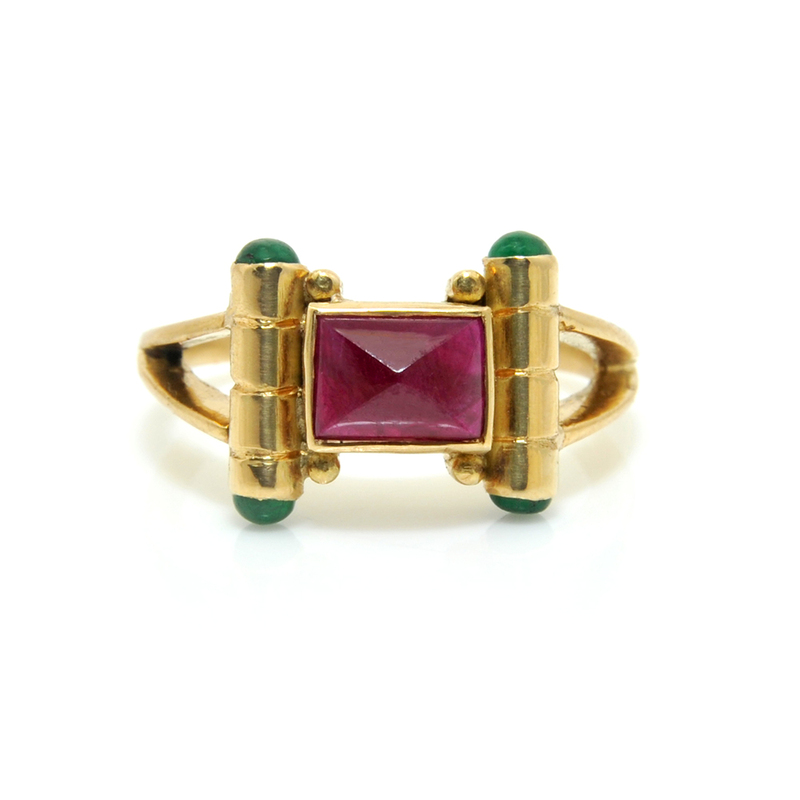 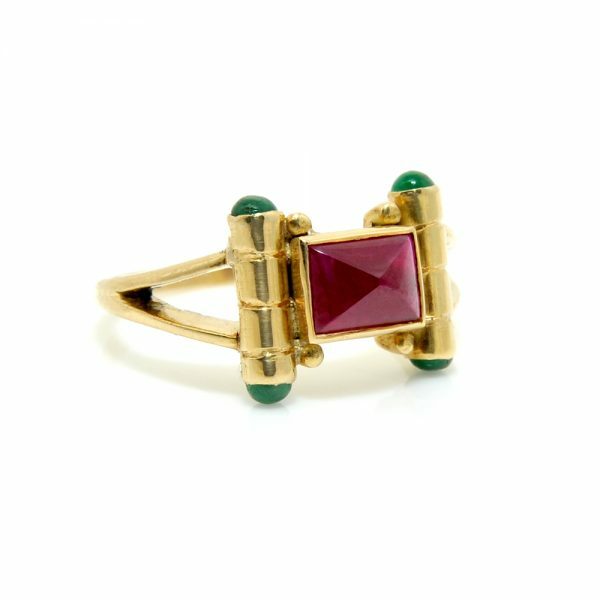 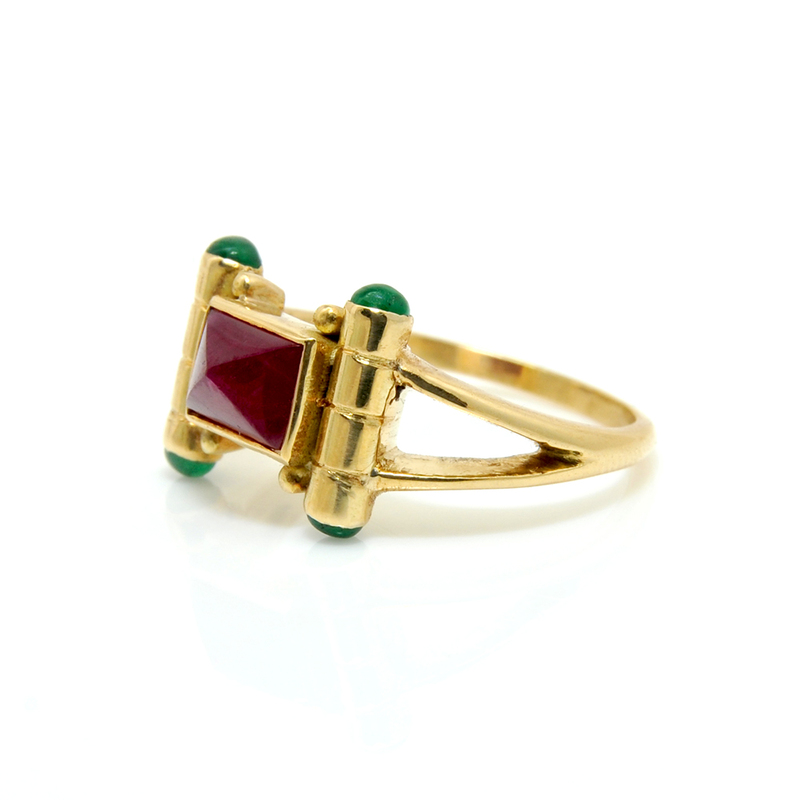 The ring is made in rubover set emeralds and a central ruby. 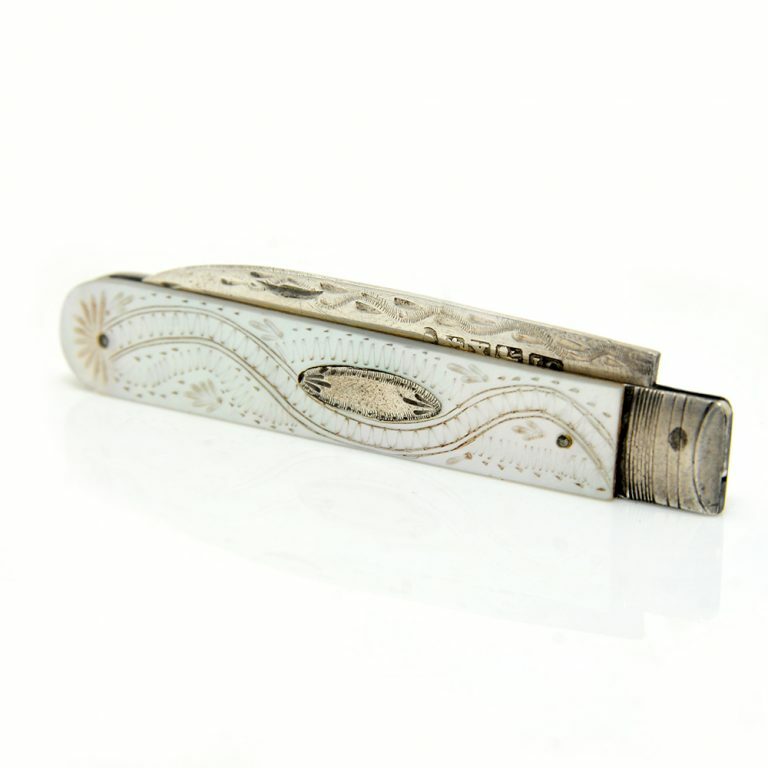 Head size: approx 9.75mm x 12.65mm.